The following afternoon, I called in to Western Digital’s customer support, since their online support center didn’t seem to address my problem. When I spoke to the customer service technician, all was going well. My drive was only six months old, so it was still under warranty. I was then told by the person on the phone, when he wasn’t breathing heavily into it, that I could send the drive back or pay extra to have a new drive sent to me first and return the non-working drive. I said the latter option didn’t work for me because I needed the data that was on the drive. I was then informed that regardless of which method I chose, the harddrive would be wiped and I would not receive back any data that I sent them. We reached an impasse at this point. I couldn’t send them my harddrive to be wiped and if I did anything but take the harddrive to a drive recovery specialist, it would void my warranty. Drive recoveries tend to be upwards of $1,000 and I didn’t want to pay that kind of money when the harddrive doesn’t appear to be damaged, just a faulty logic board in the drive enclosure. I had enough of this heavy breather who would not work with me, so I took it online. As soon as I hung up the phone, I hit Twitter and started describing my frustration with the harddrive and the response I got from Western Digital. In return, I got stories from followers who used Western Digital drives and had less than stellar experiences. Of course, after seeing the back and forth, one or two other people started to get worried that their Western Digital drives were going to have problems. And through it all, no one at Western Digital noticed, even as they were included in many of the tweets. With this frustration temporarily behind me, I went to the Arts, Culture and Technology Meetup that evening. 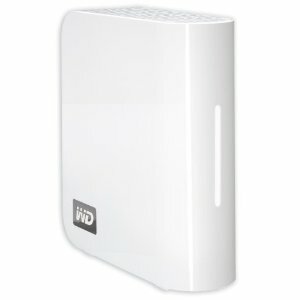 As it was winding down, I received a phone call from someone at Western Digital. My tweets had been noticed hours later (and responded to while I was offline), and he called to respond to my issue. He had reviewed the notes from the call and listened to my story and told me that the technician should have escalated my call to a supervisor to get me permission to open the drive and back it up myself. Since the call didn’t go well, he wanted to work with me to make things right. I was given information about opening the drive and accessing it and was upgraded to receive a new drive overnight. The next day, I received a followup saying I could keep the original drive and my model was out of stock, so I would be upgraded to the next model. In prior eras, the only way to find satisfaction was to write a letter and wait weeks or months for a response, hoping that they choose to assist you. With social media, one voice can shout into the ether and get responses and it will echo. Every person is given a voice that the corporations can hear and help them get satisfaction when they cannot find it, they can reach out to their networks and get the attention they need to make their problem right.